Total pressing of 300 on Easy Action Records out of the UK. Black with red splattered vinyl. We only got 30 and they are GONE, DADDY, GONE. Barrence Whitfield & the Savages shot out of Boston in the mid-'80s with the force of a cannonball. Along with original Savage Peter Greenberg (The Lyres, DMZ) and Phil Lenker, they released several records on Rounder, became a favorite of BBC DJ Andy Kershaw, toured with the likes of Bo Diddley, Tina Turner, and George Thorogood. They reunited in 2011 with new Savages Andy Jody on drums, and Tom Quartulli on sax. Chronics, from Italy, released their debut single on US Rip Off Records, along with two full length albums and two best of records. They shared stage with the likes of White Stripes, Chrome Cranks, Queens of the Stoneage and others. After several years idle, Chronics returned in 2014 by releasing a split single on Asian Man Records with Mike Watt + the Secondmen. 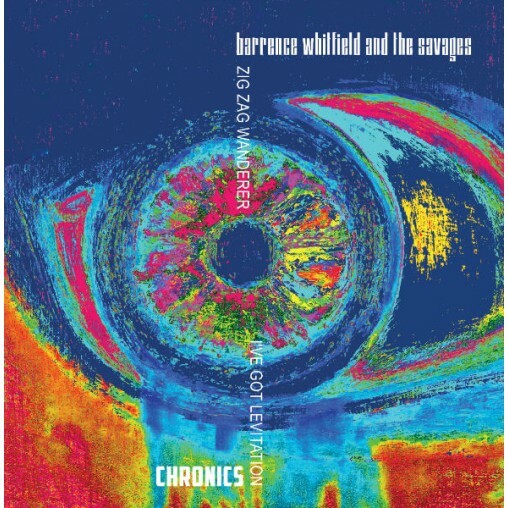 Barrence Whitfield and the Savages - "Zig Zag Wanderer"
The Chronics - "I've Got Levitation"